Recently I've been picking up fresh flowers from the store or my mom's backyard and filling little vases and putting them around my little apartment. 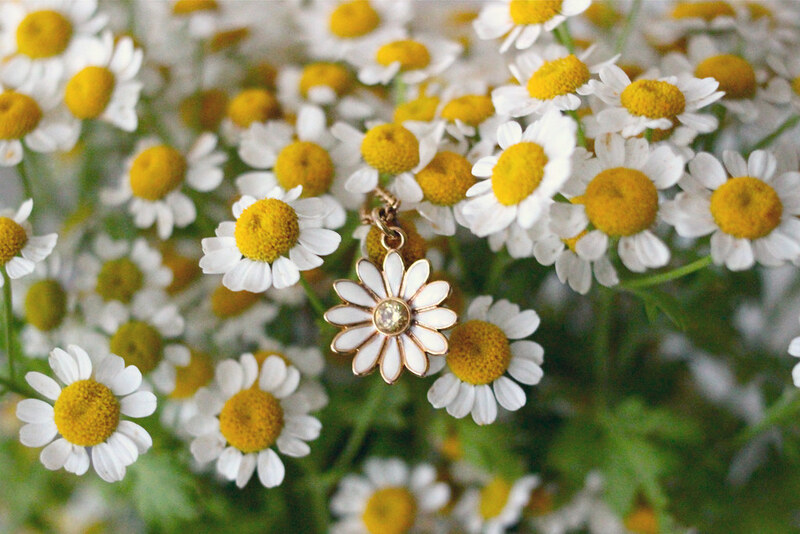 These little daisies were the perfect thing to make it feel like summer here in the city and I realized that I had a necklace that looked just like it too only with a little more sparkle. Oh I almost didn't spot the necklace at first! (I'm a look first, read later person haha). So lovely. Pretty. I love flowers. These are great photos. This is lovely! Those flowers are beautiful, I just love daisies. And the necklace is gorgeous. Yay! That was what I was going for. 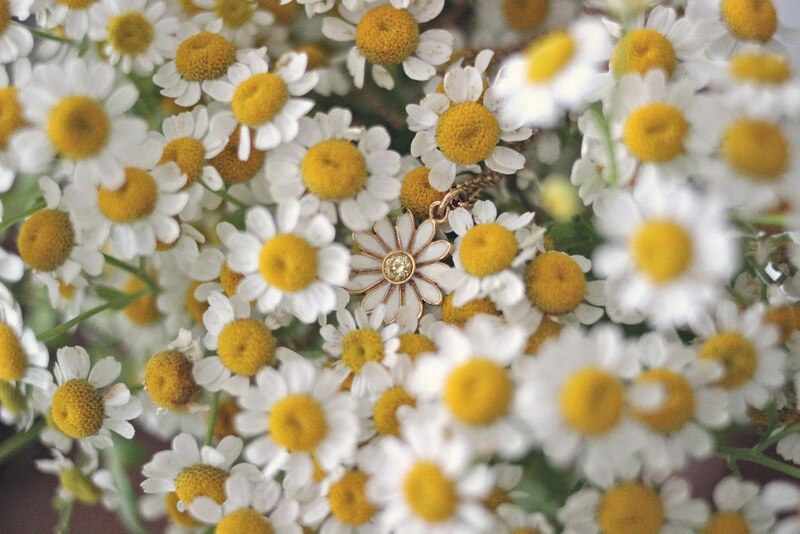 I thought it was such a pretty coincidence that my necklace was the exact size and color of the little daisies I brought home that I wanted to hide the charm in there. Plus, I always look then read too! Thank you so much! I do too, they're the best. Aw, thanks! I'm happy I inspired you!